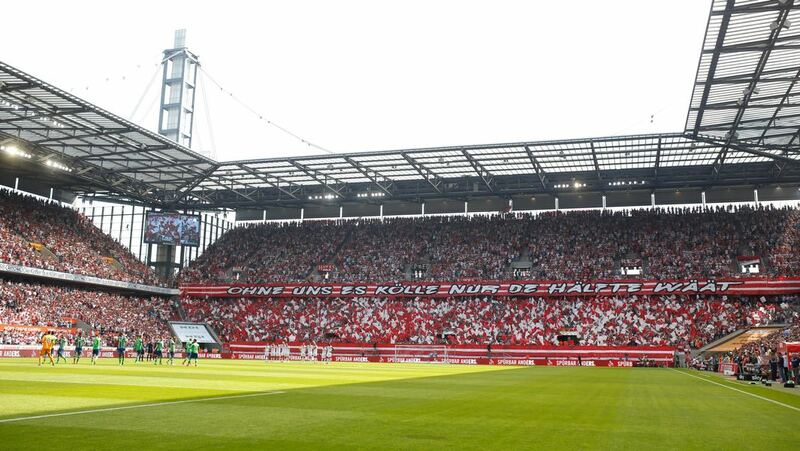 Another matchday another final for 1.FC Köln. With just eight games left and a gap of eight points to the relegation playoff spot, which is currently occupied by Mainz, there is, however, not much hope left for the Billy Goats. On Sunday they are now facing their rivals that are located just 30km north of Cologne. Owned by the pharmaceutical company Bayer, Leverkusen have seen spells of success and consistency only dreamed of in Köln in the last 30 years. That paradigm seemed to shift last season when the Billy Goats finished ahead of the Werkself to reach the Europa League. What followed was a season to forget for Köln. Despite playing good football, the Billy Goats would put together a run of poor performances that saw them finish the first half of the season with just one victory and three assists. It was a collapse of epic proportions for the club and after firing head coach Peter Stöger and appointing Stefan Ruthenbeck, the results somewhat improved. Köln have now collected 11 points in the last nine matches, but too often overcommit in their desperation to collect as many wins as possible. As a result, Köln now play some of the best football in the league. But at the same time, the squad seems to be constantly be giving 110%, and the risky plays have led to needless mistakes. Bayern in the meantime failed to reach Europe last season. Appointing Heiko Herrlich in the summer the club, however, managed to keep the squad together and sign key players like Lucas Alario. Additionally, last winter’s signing Leon Bailey has been phenomenal at times making Bayer among the favourites to return to the Champions League next season. Hence, while Bayer are chasing a Champions League spot, Köln need points to achieve a miracle. Both teams like to play football, and the match should, therefore, have plenty of goals as both sides are looking to go on the attack. 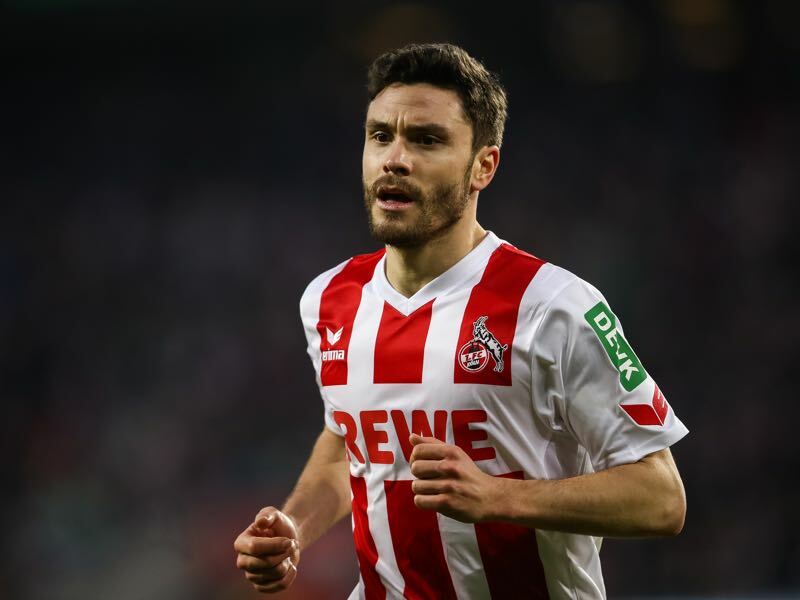 Jonas Hector’s injury at the beginning of the season was perhaps one of the significant factors for Köln’s collapse. The left-back all but has a secured a spot in Germany’s squad that will travel to Russia this summer to defend the World Cup title. A leader on the pitch for Köln Hector is, in fact, one of the most highly sought players among other clubs should Köln be relegated. The left-back can leave the club for €12 million should Köln be relegated, and he has already been linked with a move to Dortmund. While Jonas Hector’s path to the World Cup seems all but assured, Bayer Leverkusen striker Kevin Volland is considered a fringe player in the German national team. With ten goals and two assists in 25 Bundesliga games, Volland is the second highest German scorer, together with Timo Werner (Leipzig), Niclas Füllkrug (Hannover) and Mark Uth (Hoffenheim), behind Freiburg’s Nils Petersen (12 goals). 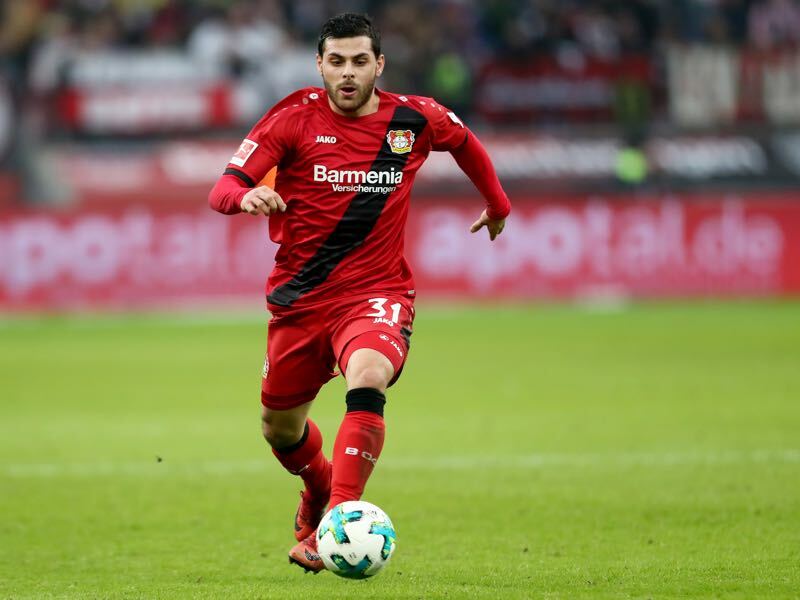 As a result, Volland is most certainly among the candidates to make the 2018 FIFA World Cup squad but will have to guide his Leverkusen side to the Champions League to convince national team coach Joachim Löw. 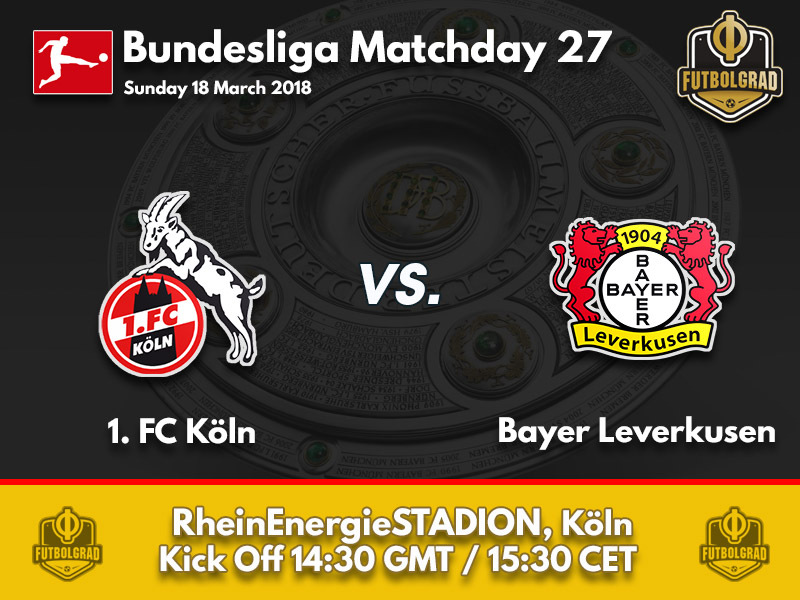 Köln have not beaten Bayer Leverkusen in four matches and have only collected two points in those games. Bayer Leverkusen are the team with the most left-footed goals scored in the league (26) with Leon Bailey (nine) and Kevin Volland (nine) leading the pack.